The Reddit countdown for the release of the highly anticipated Rise of Iron expansion for Destiny has since long passed but players are still struggling to log into the game with many reporting queues in the hundreds of thousands. An otherwise quiet and disappointing Year 2 for Destiny left many players looking elsewhere for their online shooter fix but the release of Rise of Iron was meant to fix all that with brand new story content, new weapons, new armor and an increase in Light Level. 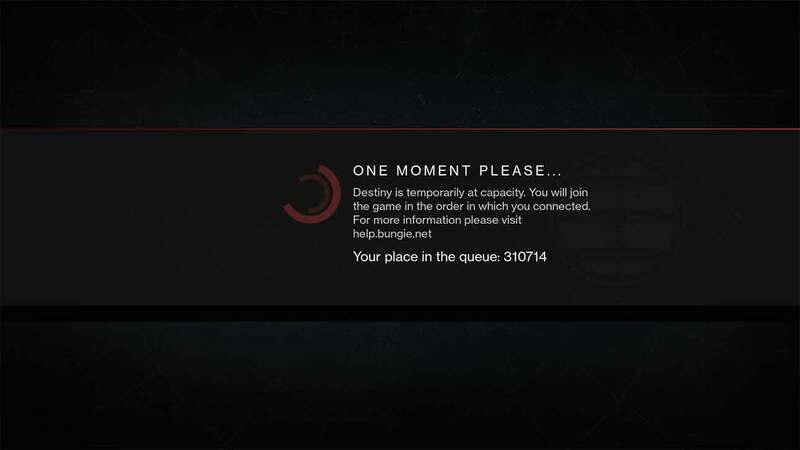 My personal best was around the 310,000 mark in the queuing system. As you can imagine that’s a 10-15 minute process to get into the actual game however the despite implementing the queue feature, the servers are still not stable or even working at all. Many users are reporting via Reddit and Twitter that once the queue reaches close to 0 they are simply disconnected and forced to queue again. It’s not uncommon for new online games and expansions to struggle under the pressure of unexpected numbers but with The Taken King performing so well at launch and Blizzard’s recent World of Warcraft expansion, some of us hoped that trend was starting to die down. I guess not.